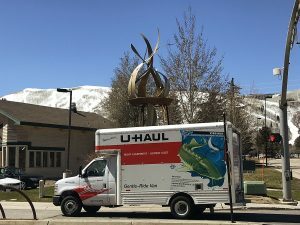 A suspect in vehicle burglaries outside the Park City Municipal Athletic & Recreation Center stole items from four vehicles after breaking windows, the Park City Police Department says. The Park City Police Department last week received two reports of sightings of elk herds along the entryways to Park City. On Tuesday, April 25 at 8:37 p.m., cars were seen pulled over with hazard lights activated along S.R. 224. The people were watching an elk herd, the police said. Earlier that day, an elk herd appeared to be readying to cross S.R. 248 at 7:21 a.m., the police were told. The police, though, said the animals were a distance from the state highway. On Monday, April 24, meanwhile, a moose was seen on High Street at 11:58 a.m. Police officers did not find the animal. Elk and moose sightings are common in Park City, and the Police Department regularly responds to reports of the animals. The police typically ensure people do not approach the animals and that the wildlife does not pose problems for drivers. On Sunday, April 30 at 9:15 p.m., the police received a complaint that a driver on the 400 block of Swede Alley was “playing with the lights” of the vehicle. The Police Department indicated the circumstances were suspicious, but there were no criminal issues found. Two people riding motorcycles or motorized dirt bikes were reportedly seen at 6:58 p.m. on private property behind a house along Morning Sky Court. Nobody was supposed to be there, the police were told. The police pulled over a driver on the 1700 block of Prospector Avenue after reportedly observing the person not yielding to a pedestrian. A natural-gas leak was reported in a building on the 600 block of Main Street at 12:35 p.m. A figure from a gas company was apparently at the scene as the police were contacted. Two women were reportedly seen walking down the middle of the road on the 500 block of Main Street at 12 a.m. They appeared to be intoxicated, the police were told. A police officer asked them to move to the sidewalk. They complied and no other police action was taken. 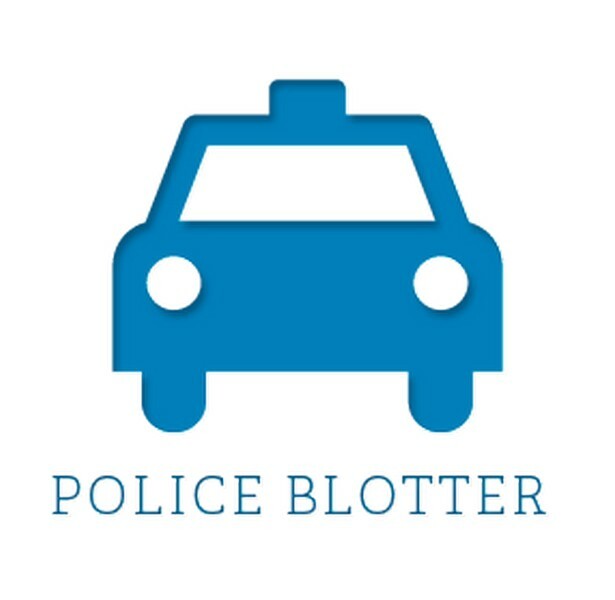 On Saturday, April 29 at 11:13 p.m., a police officer stopped a driver on S.R. 248 after observing that a license plate was not visible. A puppy was reportedly seen chasing cars on Holiday Ranch Loop Road in the vicinity of S.R. 224. The puppy was gone by the time the police arrived. A vehicle was seen swerving on Iron Horse Drive at 2:44 p.m., nearly hitting another vehicle, the police were told. A man was reported to be “staggering down the middle” of the 700 block of Main Street at 2:01 a.m. He was headed home to a residence on Woodside Avenue and was not a danger to himself, the police said. On Friday, April 28 at 5:47 p.m., a vehicle was reported to be broken down at or close to the intersection of Bonanza Drive and Iron Horse Drive. Less than a gallon of fuel spilled, the police said. The Police Department needed the Park City Fire District to authorize the vehicle to be towed. The Police Department classified the case as a hazardous-materials spill. A driver reportedly did not stop when a school bus displayed a stop sign somewhere along Little Kate Road at 2:01 p.m. A similar case was reported on Jupiter View Drive at 8:16 a.m.
A vehicle was vandalized with a key on Prospector Avenue sometime between 3 p.m. and 6 p.m.
A boat and trailer were seen parked on Round Valley Drive without a vehicle to pull them at 10:43 a.m. The police were told the boat and trailer were blocking the entrance to the dog park. On Thursday, April 27 at 10:45 p.m., a police officer pulled over a driver in the vicinity of the intersection of Kearns Boulevard and Comstock Drive for speeding. The driver was traveling at 53 mph in a 35 mph zone, the police said. The driver received a warning. The police said weather may have prevented the driver from seeing the speed-limit sign. A driver reportedly ran over a dog’s foot on King Road at 6:08 p.m. The driver apologized to a person with the dog and left while the person was gathering something to wrap the dog’s foot, the police were told. A person on the top floor of a building on Daly Avenue reportedly was playing loud music at 12:17 a.m. The police said two neighbors were amid an ongoing dispute about noise issues. The Police Department classified the case as suspected disturbing the peace. On Wednesday, April 26 at 4:30 p.m., a Christmas tree was found in the road on the 400 block of Main Street. The police said the circumstances were suspicious. 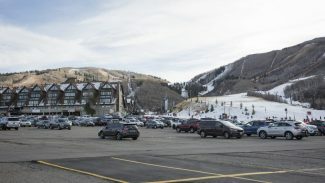 The Police Department at 1:04 p.m. logged a report of someone receiving a phone call from a person saying he was with the Park City agency and asking to confirm the name of the person who received the call. The caller wanted to sell solar panels, the police were told. Three men were reportedly seen carrying ladders in front of a store in the vicinity of the intersection of Bonanza Drive and Iron Horse Drive. They crossed toward the Rail Trail. The Police Department said the circumstances were suspicious. On Tuesday, April 25, someone went to the Park Avenue police station at 2:34 p.m. asking for an officer to listen to a vehicle the person was considering purchasing. The person wondered whether the vehicle was too loud. 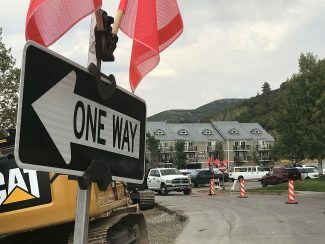 The police and the Park City Fire District were summoned to the 500 block of Main Street at 1:53 p.m. after someone became stuck in an elevator. On Monday, April 24 at 7 p.m., two dogs were found with wet fur at City Park. The person who contacted the police was concerned for the welfare of the dogs.